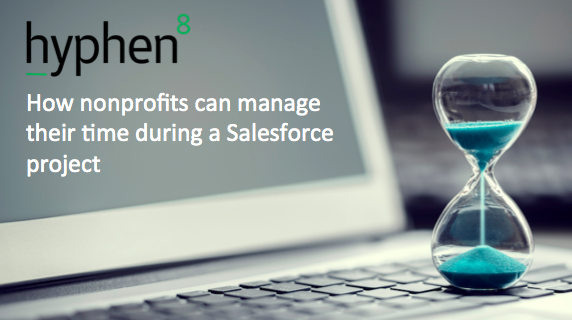 In the first of this blog series on the practicalities of Salesforce implementations for nonprofits, I shared some tips on how to minimise costs. In this second blog, I consider one of the most common questions we are asked by our customers when we are engaged as a partner – “how much of our internal time will be needed?”. This not only applies to new Salesforce projects but also ongoing projects to enhance or change existing solutions. Now of course every project is different so it would be impossible to give you an exact number of hours that would be required (nice as that would be). However, I can share some tips that will help you to plan ahead and manage your team’s time. The project plan should be dynamic and will be updated throughout the duration of the implementation. However, a baseline plan agreed with your partner at the start will provide a good indication of when your internal team involvement will be required. There is no point in us imposing scheduled dates and weeks on our customers that are unrealistic. So it’s important that you let us know what is going to work best for you. Working in partnership towards a common goal means acknowledging, and working with any capacity limitations. Are there specific days in the week on which staff are more likely to be in for meetings and review sessions? Are there windows of time / weeks when testers will have more availability that can be agreed in advance? This can be a tricky – on the one hand, you want to give as many team members as possible the opportunity to feel involved and to experience the new solution ahead of go live. On the other hand, you don’t want the distraction from their day jobs to detract from your core mission. It can be daunting for staff who have not been involved in projects of this nature to worry about how they will fit their involvement alongside their day to day work. Consider appointing an external Project Manager if budget allows. This will alleviate the daily pressures on your internal teams and provide a useful fresh perspective to moderate internal discussions. 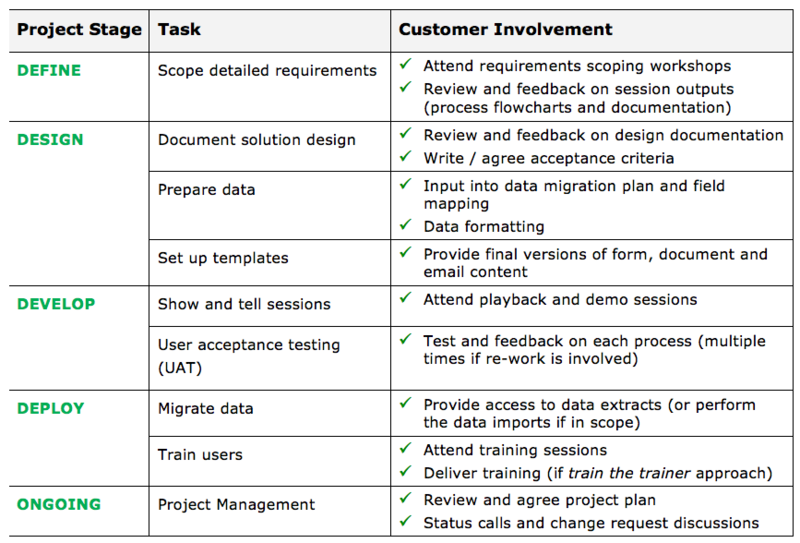 Data preparation – start reviewing all of the data sources that need to be migrated. Are there spreadsheets you can be consolidating or data formatting / de-duplicating that you can work on that will save time later? Can you draft in any volunteers to help out with this? Although there is no magic formula when it comes to predicting the exact amount of time that you will need to set aside, with careful planning, you can minimise disruption. If you have any questions on the process of implementing Salesforce, please get in touch at team@hyphen8.com.